It’s the kind of story that you’d expect to read as the plotline for a good mystery novel, or piece of historical fiction, but in fact, it’s neither. In 1946, in an area known as Qumran, near the Dead Sea in the Holy Land, a Bedouin shepherd boy literally fell into a cave and discovered several earthenware jars, in which were stored the Qumran Scrolls, also known as the Dead Sea Scrolls. 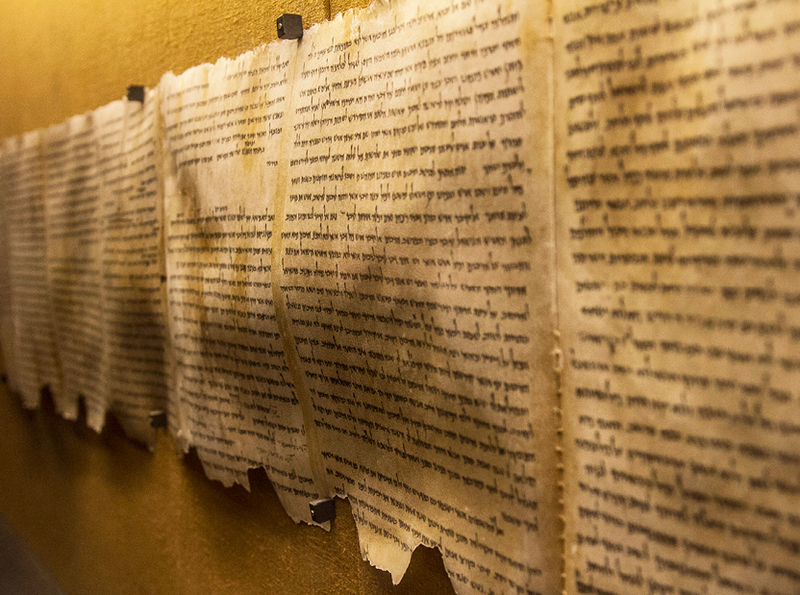 Described as one of “the most important archaeological treasures ever found in the Holy Land”, the scrolls comprise biblical books and sectarian texts, and originate from around the time of the second temple. The scrolls are believed to have been written by the Essenes, an ancient sect of Judaism that existed between the 2nd century BCE and the 1st century AD. Most of the texts are written in Hebrew, with some in various regional dialects of Aramaic, and a few in Greek. Most of the texts are written on parchment, but there are also some on papyrus and one on copper. The area of Qumran is located about a mile from the northwestern shore of the Dead Sea, near Kibbutz Kalia. Dating back to the Hellenistic period, it was built approximately between 134-104 BCE, during the reign of John Hyrcanus, and was populated for much of the time until the Romans destroyed it around 68 AD. The area is a majestic and beautiful setting, and well worth a visit. While you’re there, visit the Qumran Shop on Kibbutz Kalya. Among the wonderful selection of books, jewelry, artifacts and various brands of Dead Sea cosmetics, you will find a breathtaking reproduction of one of the Dead Sea Scrolls, packaged in a jar identical to the original. With it also comes a booklet, describing the story and historical background of the scrolls, in English and Hebrew, as well as a certificate of authenticity of the Israel Museum, Jerusalem, altogether making an ideal and intriguing gift for Christmas or even Hanukkah!